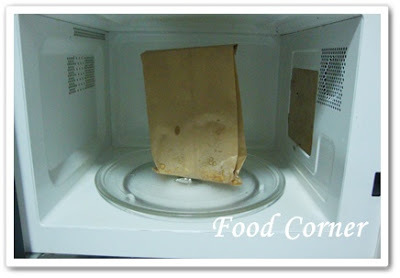 Making popcorn in a microwave is not a new recipe. Anyway I found it recently & started to make them at home. 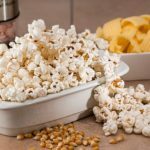 This is a ridiculously easy recipe.Anyway if you like making popcorn in a popcorn machine,here are the benefits of owning a popcorn machine.Please check. 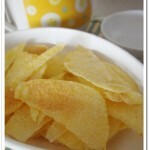 Last week I introduced ‘Microwave Potato Chips’ & all of them enjoyed it much. I am really happy when they admire the recipe I introduced to them. 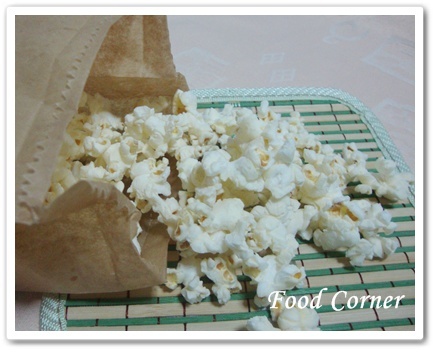 So this is my microwave popcorn recipe I tried with them. I used powdered sugar with popcorn as it is much easier. However there are many different toppings with salt, chili, garlic powder etc. 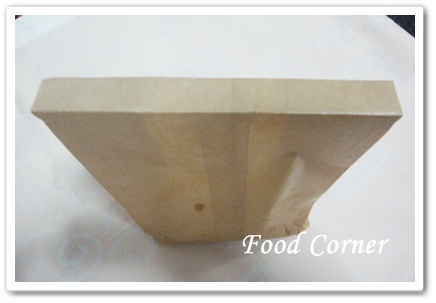 Open the brown paper bag & pour the corn in. Pour the oil & sugar (or seasoning).Shake well. Then fold the bag twice on top. 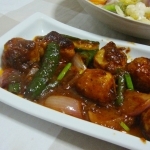 Some recipes mention about using a staple pin, but I don’t use & it is fine. Set the bag in microwave. Cook 2 minutes in ‘High’. You will here the popping sound continuously. After 2 minutes, take the bag out. Open with care avoiding the steam. Wow!! Microwave popcorn is ready!!! Pour them on to a bowl. 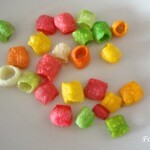 Add a topping of your choice if you do not like it with sweet taste. 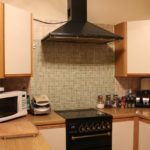 I’ve just recently discovered this way of popping popcorn kernels – so much easier and mess-free than the traditional saucepan method! Wow, they have popped up perfectly! 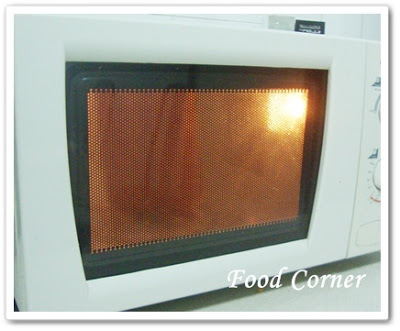 Nice idea to make pop corn in microwave. 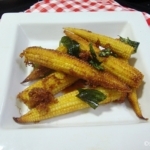 They have come out really good..
wow, they have come out great..will love to try it at home…thanks for sharing!! 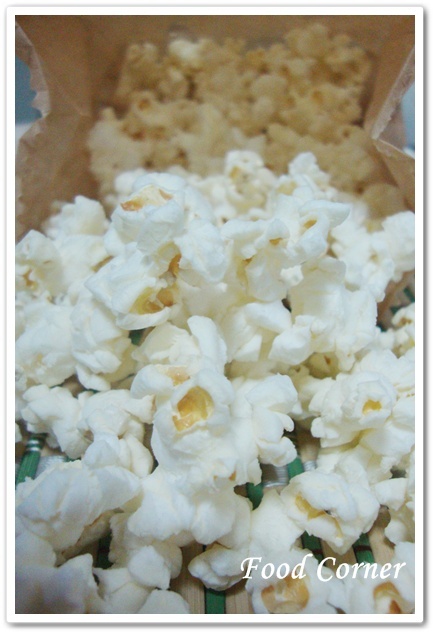 Nice popcorn so good to eat when watching television I love it. Looks yummy Amy. Lovely pics. I have seen recipes like this but have always been scared to give it a try. Thanks for trying it! Sounds great and I will definitely have to give it a try! I’ve been nervous about trying popcorn in a bag like this, but will definitely have to give it a try! Sounds easy and delicious! Love the idea of powdered sugar in popcorn. Kids will love them. Thanx for sharing..! Hope your exams went well! 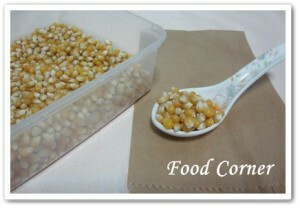 Thanks for sharing such a super easy popcorn recipe! Just a question though, is there a difference between putting your toppings before you put it on the microwave and after it has been popped? 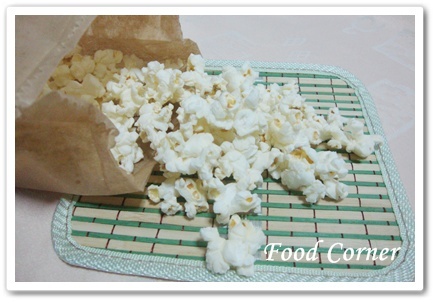 Easy Popcorn Microwave Recipe is a very easy process and i like this recipe. Thanks for sharing.